Dr Adrian Sartoretto completed a Bachelor of Medical Science followed by his medical degree (MBBS) with the University of Sydney, completing his studies in 2007. He undertook his residency and was a registrar at Westmead Hospital and went on to Advanced Training in Gastroenterology and Hepatology at Westmead Hospital, with particular focus on hepatology and general gastroenterology including functional gastroenterology and motility. During this time he was president of the Westmead RMO Association and won a number of awards for excellence in teaching and leadership. In 2015, he went on to undertake an endoscopy fellowship at Concord Repatriation General Hospital with a focus on advanced polyp resection and Inflammatory Bowel Disease. Dr Sartoretto has a keen interest in teaching, with active involvement with the University of Sydney since 2004 as well as with Western Sydney University. He was appointed as a Clinical Lecturer with the Graduate Medical Program at the University of Sydney in 2013. He teaches regularly with the Australian Society of HIV medicine (ASHM) in training General Practitioners in the treatment of Hepatitis B.
Dr Sartoretto founded and is the Medical Director of the Infusion Clinic, Australia’s first open access infusion service for medically referred patients. He is also the medical director of The Breath Test Lab, Randwick, a diagnostic service for the investigation of carbohydrate intolerances using hydrogen and methane breath testing, and is a medical advisor to the Australian Breath Analysis Laboratory (ABAL) on using C13 (non radioactive) Urea Breath Tests in the diagnosis of Helicobacter pylori. 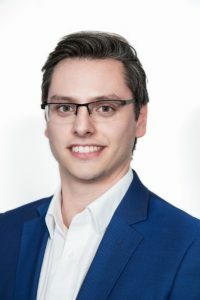 Dr Sartoretto has recently joined Gastric Balloon Australia (GBA), Australia’s leading practice in medical weight loss using evidence-based endoscopic techniques to achieve meaningful weight loss. As part of this role within a dynamic, multidisciplinary team, he is developing a world first programme incorporating the latest in fitness and smartphone technology to further improve safety and outcomes of patients undergoing bariatric endoscopic procedures. He is an investigator in trials examining the safety and efficacy of novel endoscopically-deployed devices as well as of emerging techniques in bariatric gastroenterology. Dr Sartoretto is a practising consultant Gastroenterologist, Hepatologist and Endoscopist at South Eastern Gastroenterology (SEG) in Randwick, Double Bay Day Hospital. He has particular interests in fatty liver disease, viral hepatitis and inflammatory bowel disease. His endoscopy practice focuses on advanced polyp resection, bariatric endoscopy and capsule endoscopy. To make an appointment to see Dr Adrian Sartoretto for a gastroenterological review please call our Randwick rooms on 9398 0200 or for a weight loss appointment please call Double Bay 1300 859 059.